Glen is your local Bendigo South Building Consultant. 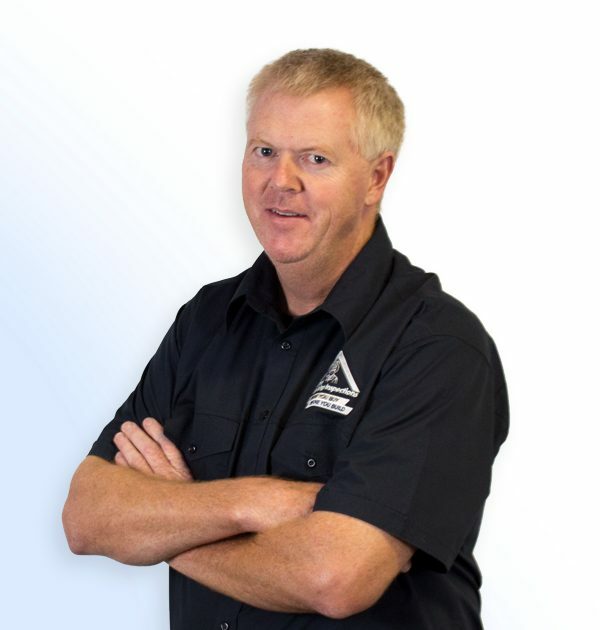 Glen is a welcome addition to the Jim’s Building Inspections team and is your go-to inspector if you live in the Bendigo South region! Joining the team with 32 years experience in the building industry, Glen starting his carpentry and joinery apprenticeship with the Master Builders of Victoria at the age of 17. He has worked in the commercial sector on projects such as the Eye and Ear hospital and the Helipad at the Alfred Hospital. After completing his apprenticeship, Glen moved into the domestic sector and was subcontracting for various building companies. Early in the 90’s he become a registered domestic and commercial builder and constructed one off homes for several years before purchasing an insurance repair business. Glen ran this business for the next 10 years, whilst completing building side projects such as renovations, extensions and new builds. Fast forward 10 years and Glen had decided it was time to scale back the tool work and find a suitable business venture that he could continue with in his future years. After looking into starting an independent inspection company, the opportunity to work within the Jim’s Building Inspections model caught Glen’s attention. He decided that joining our team was a fantastic opportunity and we took him on board with open arms. In his spare time, Glen enjoys camping with my family, and is a keen fan of any variation of motorsport!